I am uploading a couple of Uyghur songs that I’ve got hooked on recently. The first, by a group called Qetic, is called Izlidim. It’s an incredibly beautiful and catchy pop song. I’d love to know what the lyrics mean (can anyone help?). The second is a far more traditional song; Tar Kucha. The video that accompanies the song shows parts of the disappearing traditional life of the Uyghurs and has some interesting images of (correct me if I´m wrong) old Kashgar, much of which has now been demolished. 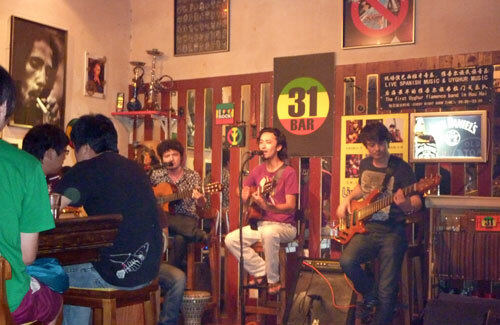 If you want to catch a bit of Uyghur music while you are in Beijing try the 31 Bar on Houhai Lake. Most nights a group of young Uyghur musicians get together for an informal session of mixed Spanish and Uyghur music. The musical talent of these guys is something to behold. Drink prices are normal Houhai prices: 20/25 yuan a beer.